Romantic interior design in the attic! New project! Color accents Pantone, Spring 2017! Modern interior design project. Fresh and modern interior design for a small apartment! Classic interior design for an apartment! 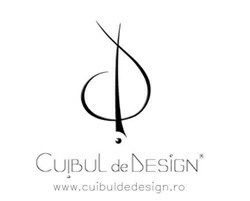 Irina Androne Owner and founder Cuibul de Design irina.androne@cuibuldedesign.ro (+40) 743 043 842 www.cuibuldedesign.ro Interior design blog: irina-androne.blogspot.ro Motto: "Ideas are the roots of creation".